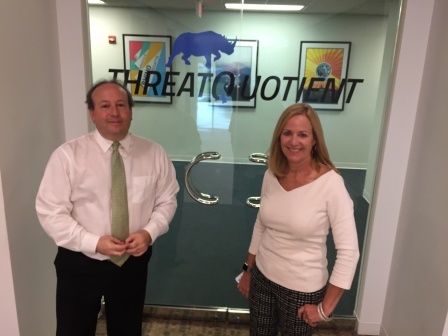 Gigi Schumm is the senior vice president of World Wide Sales for ThreatQuotient. Gigi is responsible for revenue growth and driving global channel strategy. She brings over two decades of experience leading high-performing sales and services organizations spanning commercial sales, services, channels, alliances, business development and operations. Prior to coming to ThreatQuotient, Gigi served as the VP and general manager for public sector at Symantec. She has also held leadership roles at various technology companies including Oracle, NeXT software and Sun Microsystems. Additionally, Gigi hosts the very popular and long-running weekly radio show on Fed News Radio, WFED called Women of Washington, where she interviews accomplished female executives to share their life lessons and secrets to success. Fred Diamond: Gigi, let’s get started. What do you sell today? And tell us what excites you about that. Gigi Schumm: At ThreatQuotient we make a threat intelligence platform, and that is technology that’s designed to help organizations accelerate their security operations and it does that by providing context, prioritization of the threat intelligence and helping to automate the routine tasks that they have to do. I’m excited about that because I’ve been in cyber security for quite a while – over twenty years – and I think that organizations, the more money they spend, it sometimes seems like the farther they get behind. They’re still stuck in reactive mode and what we have here at ThreatQuotient really helps to change that dynamic and help security organizations to be more proactive by understanding what’s going on in the threat landscape and then bringing that into their environment and seeing how that compares and interacts with the information that they’ve got about what’s going on inside their networks. Fred Diamond: Tell us a little more about ThreatQuotient. How long has the company been around? Gigi Schumm: We’ve been around for about two and a half years and we are backed by NEA, a great venture backer and we have a team of people running this company that are true professionals that have been there and done that. Our founders came from General Dynamics and they were real security practitioners running the sock at General Dynamics, and so they understand the problem. And so it’s a good team of smart people that are helping to figure out these issues. Fred Diamond: Very good. Let’s go back to the beginning of your career. You’re obviously a well-accomplished sales leader and sales professional. Tell us how you first got into sales as a career. Gigi Schumm: I was an English major in college and my first job out of school was writing technical documentation. I realized that that wasn’t going to be a long career that kept me excited and so I actually for a short while became a software developer and one of the motivating factors was I knew that I could make more money or discover that I could make more money if I wrote the code versus documenting the code. From there I learned a bunch of technical skills and became an SE at a company called Techtronics. We did both pre- and post-sales support back in the day. I quickly realized that I wanted to be on the other side of that equation and be the sales person instead of the SE, as much as I liked solving the technical problems and being an SE, the truth of it was that I wanted to be the one driving the process and kind of the pointy tip of the spear, if you will. After about two and a half years I transitioned into sales and never looked back. Fred Diamond: You’ve worked with some of the best-known brands in the tech space. We talked about Sun, we talked about Symantec of course, and Oracle. What were some of the key lessons you learned from some of those first few sales jobs that have stuck with you till today? Gigi Schumm: I always tell people that when I was at the vantage point of being an SE, sales looked so easy because I felt like I was doing most of the heavy lifting, and the sales people were schmoozing the customers, they were getting the coffee and things like that. What I really didn’t realize at that point until I stepped my foot across the other side of that line into sales was it takes a lot of work to get the customers to the meeting. I think some of my first lessons were around the fact that sales is really both an art and a science, if you will. It’s the art of building a relationship, listening to people, really trying to understand what they’re dealing with and what problems they’re trying to solve. Then the science piece of it is understanding that sales is also a process. It’s all about building the pipeline, it’s about making sure that you’re doing the right things to move those deals through the pipeline and so as I interview people I listen for both of those things now. That they understand that it’s about building relationships, relating to people, but also just as much about being a process. Fred Diamond: Tell us a little bit about yourself now. Tell me specifically what you are an expert in. Gigi, tell us a little more about your specific area of brilliance. Gigi Schumm: I don’t know that I’d go so far as to say it’s an area of brilliance, but I have spent the past 20 years in cyber and have seen it just grow and change and continue to get more and more challenging. Helping customers understand how they can use tools, technology, processes, people to solve some of the very toughest challenges that we’re facing, from cyber criminals to nation states with an ever evolving set of cyber challenges. Fred Diamond: Interesting. You’ve been selling cyber solutions, primarily, in the places you’ve been at up to this point? Gigi Schumm: Absolutely, yeah. For about 20 years. Fred Diamond: What’s a major thing that you’ve seen change over the 20 years in cyber today versus 20 years ago? Gigi Schumm: I always say: the only thing that’s changed in cyber in 20 years is everything. Really, if you think about it, the profile of the hackers have changed. 20 years ago it was the prototypical teenage kid or young adult, maybe, who was just trying to get a little bit of notoriety, wasn’t really trying to do any damage. They were trying to make a name for themselves in the hacker community. Now, it’s nation states. It’s cyber criminals, it’s whole underground economies that are devoted to trying to profit from using cyber as the tool to profit illegally. So the profile of the bad guys has changed, the tools and techniques that they use have changed and the tools and techniques that we use to protect ourselves have changed as well. Fred Diamond: Obviously there’s more things at stake now. Do you feel that as you’re selling cyber solutions? Do you feel that you’re selling something that’s much more pertinent and critical to today’s security of our nation, if you will? Gigi Schumm: Absolutely. If you think about it, the next war will absolutely if not be a cyber war, it will have a major cyber component. Our government understands that, other governments understand that but there’s also cyber-crime and that’s very serious, too. You look at things like recent breaches whether it’s the Equifax breach, this is people’s personal information that’s out there. Who do you know that hasn’t had a credit card compromised in the last couple of years? The stakes are higher. There’s no question about it. Fred Diamond: Tell us about an impactful sales career mentor and how they impacted your career. Who was that person that has helped you understand how you could become a Sales Game Changer? Gigi Schumm: I’ve been so lucky to work for many great leaders who have helped me and inspired me and sponsored me into various positions. One that I would say probably stands above all others is John Thompson who was the CEO of Symantec for my early days there. I learned so much just by watching him, by seeing how he comported himself, how he could inspire people, whether he was just sitting down to dinner with them or whether he was on stage addressing hundreds or thousands of people. And I learned that he did that by just being a regular guy and listening and caring about that, and I was super fortunate to have him take a personal interest in my career and helped to elevate that and give me larger areas of responsibility while I was at Symantec. He’s the mentor that stands out most clearly in my mind. Fred Diamond: You run a radio show also called The Women of Washington. Do young women in sales or business reach out to you to look for mentorship and ideas and career guidance? Gigi Schumm: They do, and frankly, I always encourage them to. All of the women that we’ve talked to – and I’ve done the show for 3 years now – mentorship and networking are two things that continually rise to the top when we ask these women what contributed to their success. I absolutely love the ability to mentor people and the opportunity to mentor people. Especially young women, because I have a particular passion around increasing the diversity in our field. The truth of it is that I learn as much from the women or the people that I mentor as they learn from me so it’s a real give and take and a win-win on both of our sides. Fred Diamond: We’re going to ask this question a little bit later on, but since we’re on the topic right now, what are some of the things that you say? What are some of the things if a young woman professional came to you in her mid to late 20’s and she seems to have the aptitude to be successful in sales, what might be some of the guidance you would give her? Gigi Schumm: It sort of depends what her particular situation is. Some of the guidance that I would give across the board would be to always keep learning. I really am a continuous learner and I don’t go by the adage that you can’t teach an old dog new tricks. I believe I learn every day. But a lot of times young women come to me with a specific concern or a specific issue. It may be around can they have a family and a career at the same time, it may be guidance for how to handle work-life balance, it may be that our career is still pretty male-dominated, it may be how to navigate some particular situation, how to be taken seriously. And so what I really try to do when I’m mentoring is listen to their situation, put myself in their shoes and just give the best advice that I can. Fred Diamond: Gigi, what are two of the biggest challenges you’ve faced today as a sales leader? Gigi Schumm: I think that as a sales leader one of my most awesome responsibilities and yet one of my biggest challenges is hiring great people. I always say that if I can hire a great person, I’ve just made the rest of my job so much easier. And the inverse of that is true as well, that if you settle and hire somebody just because you need to fill a slot, you’re just creating future problems for yourself. So that, hiring great people, is I think number one. The second thing is you have to keep adapting and the buyers are changing, the profile of the buyers. We had so many adages when I was coming up in sales about getting in front of buyers and, “you can’t sell ’em if you can’t smell ’em” and all of that kind of thing. But the truth of it is that today’s buyers are younger and they want to be interacted with in different ways. Think about how we’ve gone from phone calls to email to texting and now a lot of buyers, they want at least part of the sale to happen in what I would call a self-service mode where they can read blogs or reviews or reach out to who they want to reach out to, friends of theirs in their network. And they don’t necessarily respond as well to you showing up at their door to talk to them. Fred Diamond: Let’s go back, you’ve had so many great successes in your career. Take us back, Gigi, to the #1 specific sale success or win from your career that you’re most proud of. Gigi Schumm: Sure. This is a favorite story of mine and it’s funny because I ask this question always when I interview people, mostly because I love to hear their stories. This took place at Oracle. I was hired and actually followed a manager over to Oracle and was going into a situation where I thought I was walking to covering an account where they were doing a big RFP and we were on each of the teams. So it was just a no-lose situation. It turned out that we were not on one of the teams that bid and of course, that’s the team that one. So after trying all the conventional ways of first talking to the integrator that the prime that won the deal to see if we could change their mind and have them understand how we had a superior technology, that didn’t work. Going to the government and user and really having them understand how we were the perfect fit for what they were trying to do and see if they would put some pressure on the integrator. That didn’t work. So I thought, “OK, what am I going to do now? I have one account and they just issued an RFP for their biggest requirement.” – It was database – “and they’ve now chosen my competition. Do I pack my bags and go?” And so that’s where I got one of my favorite sayings which is “desperation sometimes creates creativity.” And so instead, what I did is listen to the customer, really got to know them at all different levels and understood from a big picture what they were trying to achieve. There was a CIO of the agency I was covering and he used a slide to illustrate visually the architecture that he was trying to put into place and I realized as I looked at that slide that there was an opportunity for us to become part of what I will call their plumbing, their standard build across the agency. I decided that rather than worry about this one program that we had lost, which was a big program, I would shift the conversation and instead start talking about how we could be a part of their infrastructure that they could build everything else on top of. And I literally replicated the slide that he used when he did briefings and inserted Oracle’s technology as one of the layers of that architecture. When I briefed him, he loved it because he recognized it was his own slide but talked about the benefits from not only a technology perspective but more important from a cost perspective that they could realize, the savings that they could realize with that approach. Long story short, he bought into it and we ended up closing an enterprise deal for the entire agency to standardize on Oracle, so it was desperation breeds creativity, and creativity can breed success. Fred Diamond: Gigi, you’ve had a great career in sales. Did you ever question being in sales? Was there ever a moment where you thought to yourself, “It’s just too hard, it’s just not for me.”? Gigi Schumm: No. No, I really never did. First of all, I’m so stubborn that I don’t know that I would ever have that response but I do tell people when they’re considering a career in sales that in addition to skill set that you need in order to be successful, really there are two what I would call kind of personality characteristics or maybe emotional characteristics. Maybe a part of emotional intelligence. I don’t know what it is, but two things that I think if you don’t have them it will be very hard. The first is that sales is inherently unfair. There’s always going to be somebody who has a better territory, a lower quota, gets lucky, a blue bird flies in their window, and sometimes you’re on the winning end of that and sometimes you’re on the losing end of that and so if you can’t make peace with the inherent unfairness, it can make you crazy. The second thing that I always say is it is full of ups and downs. It’s full of wins and it’s full of losses, and you’re going to have good quarters and bad quarters, good years and bad years. And again, it’s a mental thing more than anything else, right? If that is going to make you crazy then this is not the career for you, so you have to be smart to be in sales, you have to be empathetic, you have to be a good listener but I really think that you have to have those two what I’ll call personality traits or mental states. The ability to live in an environment that is inherently unfair and the ability to weather the ups and downs are critical to success in sales. Fred Diamond: Gigi, I want to get some of your tips on how the people listening to today’s podcast can take their careers to the next level. 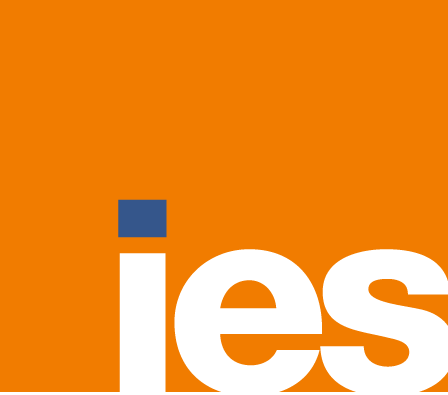 What’s the most important thing you want to get across to junior selling professionals to help them improve their careers? Gigi Schumm: I already talked about being a continuous learner. I think that’s really important but what I find myself telling my team now especially in this era where they are communicating often by text or by quick email, every interaction is an opportunity to build or deepen a relationship with the customer. Again, back in the day we used to be sitting face to face and you could ask about their family. You would see pictures on the credenza, they may have some sports trophies and so it was very easy to use those little queues to develop relationships, but now in this era where we’re sending quick text back and forth it’s very easy to just make those be short, sweet, very terse. I think that’s missing an opportunity because that doesn’t build a personal connection and so I find myself repeating that a lot to my sales people, particularly the younger ones. Every interaction is an opportunity to build or deepen a relationship. Fred Diamond: Gigi, what are some of the things you do today – you mentioned that you are a continuous learner – what are some of the things that you do to sharpen your saw and stay fresh? Gigi Schumm: The thing that keeps me freshest I think is to get out there and talk to customers. I am not a person who can manage a sales team from behind a desk or behind an Excel spreadsheet. I have met and have worked for a couple managers who do that. It’s all about the numbers. But for me, in order to make sure that our technology is what it needs to be, in order to make sure that the messaging, how we message that technology is right, in order to really understand what customer problems we’re trying to solve, there’s no better way than to get out there. I’m always saying to my sales team, “I’d love to come with you on that call. I’d love to go meet that customer.” Every time I do, I learn something new and it helps to keep me sharp. It really does. Gigi Schumm: You have mentioned a couple of times that I have worked for a lot of great companies, a lot of great names from Oracle and Symantec and Sun Microsystems and ThreatQuotient is the smallest company that I’ve worked for. It’s a true start-up. We’ve only been around for a couple of years, we’ve got about 68-69 people I think, and counting. And so the major initiative is building this team from the ground up. We have got fantastic technology and a great team that’s going to continue to develop that, and so it’s up to me to make sure that I’m building a world-class sales organization. That can be a little bit of a cliché but I really believe that can be done, even at a small company like ThreatQuotient. Fred Diamond: Gigi, as we wind down today, you’ve given us so many great things to think about, but sales is hard. People don’t return your calls or your emails. They hide behind that in a lot of cases. Why have you continued? What is it about sales as a career that has kept you going? Gigi Schumm: I think there’s a couple of things, Fred. First of all, I know it’s a cliché but I love to win. It’s a very competitive business and it’s just so much fun to close that deal. It never gets old, it really doesn’t, but in the course of that I get to meet great people in our customers and prospects and I get to be a real problem solver. The other side of it I think is the personal side and it’s just a great career. I’ve been able to – I mentioned at the start – that I have four children. They’re all grown and out of the house now and I have a couple of grandchildren but I always say it’s a wonderful career because you get out of it what you put into it and a lot of that can be done at your own time. So when my kids were little, if it was Halloween and there was a parade I needed to go to, I could do that as long as I was making sure that I was making up for it some other time, which I was always really good about doing. It gave me the flexibility that I needed in order to be a mom and also have a great career. Fred Diamond: Give us one final thought to share with the people listening today to help them become Sales Game Changers. The truth of it is, I think, if you put yourself in the shoes of a buyer, everybody appreciates a great buying experience where they have encountered a sales person that was respectful of their time, respectful of what they were trying to do and was helpful and added value. The best advice I can give to any seller out there is: everybody is at some point of their life a seller and a buyer. Put yourself in the buyer’s shoes and you’ll learn a lot about the way you can sell.